London, 1 December 2009 – The independent standards authority of the online gaming industry, eCOGRA, has announced that the CEREUS online poker network has achieved the required standards for its Certified Software accreditation seal. 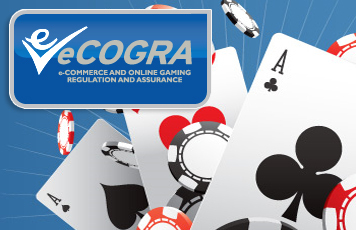 eCOGRA is specifically known for their focus on fair gaming and player protection. Determined that there should never again be a repeat of the issues that resulted in it paying out millions of dollars to disadvantaged players, management at the CEREUS online poker network tasked their poker and back end software provider1 with key product developments and vast improvements to its security and safety measures designed to protect players and enhance the overall gaming experience. The result is one of the most tightly constructed online poker softwares in the industry, which has passed the stringent inspection regime of standards and player protection non-profit eCOGRA with flying colours. A rigorous on-site review, which encompassed every aspect of the company’s software development activities, was conducted earlier this year by professional eCOGRA auditing and technical staff. The CEREUS software achieved full compliance with eCOGRA’s Generally Accepted Practices (eGAP), a set of industry best practice operational and management requirements. “CEREUS management’s commitment to compliance, specifically player safety, facilitated an efficient review and certification process,” Sean Roberts, Compliance Manager at the London offices of eCOGRA reported. Following the inspection team’s report, eCOGRA’s independent Seals Compliance Committee confirmed that the software is implemented, maintained and continuously operated in a safe, secure and reliable manner, and awarded the software accreditation seal. eCOGRA chief executive Andrew Beveridge revealed that for the past year continuous monthly monitoring of the CEREUS online poker network’s random number generator and game results has been additionally carried out through eCOGRA’s proprietary Total Gaming Transaction Review, a process that analyzes every live gaming transaction to ensure fairness of the cards dealt. The TGTR process also includes comprehensive controls to ensure verification of the completeness and accuracy of the data used in the monthly evaluation. Paul Leggett, Tokwiro Enterprises Chief Operating Officer, said that the eCOGRA inspection had subjected the company’s online poker software to one of its most exhaustive reviews. “Doing everything possible to reassure the poker community that our operation and software are completely safe and secure is a priority for us. This is why we decided to work with eCOGRA and apply for the Certified Software accreditation seal. Their inspection team was extraordinarily thorough, looking at a wide range of elements in our software. We are proud that our product passed the tough requirements to achieve this important accreditation. We have learned a great deal from eCOGRA, and we respect and support their ongoing efforts to make the online poker industry more accountable,” he said. CEREUS is owned and operated by Tokwiro Enterprises, and licensed and regulated by the Kahnawake Gaming Commission. CEREUS powers both Tokwiro-owned online poker rooms UB.com and AbsolutePoker.com. It aims to deliver industry-leading features, more action, increased player liquidity, plus the safest and most secure online poker environment for players worldwide to enjoy. Quad Dimensions, based in Seoul – South Korea, is a provider of innovative poker room software to the CEREUS poker network that powers both Tokwiro-owned online poker rooms UB.com and AbsolutePoker.com.